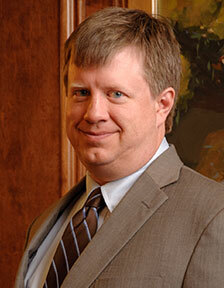 Mr. Brook’s primarily practices labor and employment law. He represents businesses and public entities in personnel and disciplinary proceedings. He handles transfers, suspensions, and terminations for school boards. 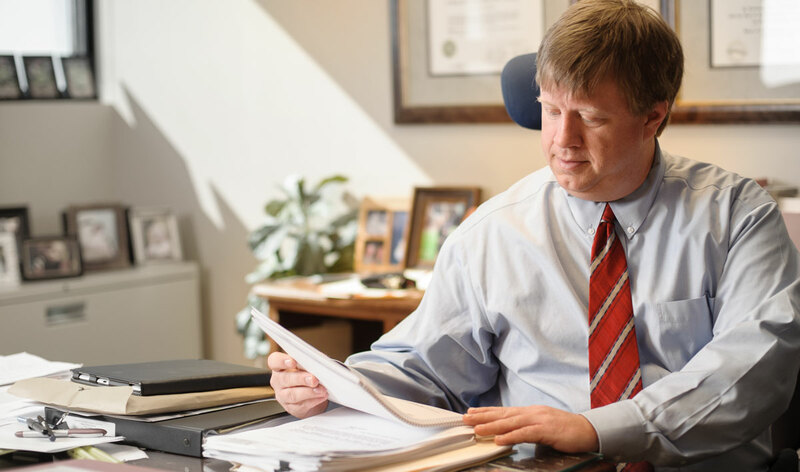 In his practice, he has addressed charges of discrimination and retaliation before the Equal Employment Opportunity Commission (EEOC), complaints under the Americans with Disabilities Act (ADA), complaints under the Family and Medical Leave Act (FMLA), defense of employment-related claims in state and federal courts (including claims of discrimination, sexual harassment, and retaliatory discharge), and preparation of employee handbooks and personnel policies. Daniel v. Huntsville City Board of Education, 2018 WL 1746528 (N.D. Ala. April 11, 2018). The employment of a probationary teacher was terminated. This teacher sued the board of education and two employees alleging race discrimination, race harassment, and retaliation. The U.S. District Court granted summary judgment in favor of all defendants and dismissed the case. Brown v. Huntsville City Board of Education, 2018 WL 804280 (N.D. Ala. Feb. 9. 2018). A teacher sued the school board alleging failure to promote on the basis of race and in retaliation for filing EEOC charges. The U.S. District Court granted summary judgment in favor of the board of education and dismissed the case. Jones v. Cherokee County Board of Education, 2017 WL 4517248 (N.D. Ala. Oct. 10, 2017). This lawsuit alleged that the board of education failed to protect a student from being assaulted by the parent of another student during a school football practice. The U.S. District Court granted the board ’s motion to dismiss the Section 1983 claim and remanded the remaining state law causes of action to the Cherokee County Circuit Court, which ultimately dismissed all claims against the board of education. Gaines v. Wardynski, 871 F.3d 1203 (11th Cir. 2017). A teacher sued a local school board and a school superintendent, alleging that she was denied a promotion in violation of her First Amendment right to free speech and intimate association. On summary judgment, the superintendent argued that he was entitled to qualified immunity. When the district court denied the superintendent’s motion for summary judgment, an interlocutory appeal was filed. The appeals court reversed the district court's decision and held that the superintendent was entitled to qualified immunity from all claims. Crutch v. Lawrence County Board of Education, et al., 2014 WL 3889898 (N.D. Ala. 2014). A teacher sued a school board, the superintendent, and a school principal alleging her employment was terminated because of her race. The United States District Court granted summary judgment in favor of all defendants. Massey v. Womack, 105 So.3d 1213 (Ala. Civ. App. 2012). The Alabama Court of Civil Appeals affirmed the school board’s position that a Head Start employee did not have to paid in accordance with state’s minimum-salary schedule for school nurses. Ex parte Boaz City Board. of Education, 82 So.3d 660 (Ala. 2011). A kindergarten teacher, who allegedly was struck with paddle by a superintendent, brought action against the school board, the board’s members, and the superintendent, asserting claims of defamation and assault and battery. The Alabama Supreme Court ruled in favor of the school board and school board members, finding that the school board and board members were entitled to absolute immunity under the Alabama Constitution. Lewis v. DeKalb County Board of Education, 2013 WL 6073519 (N.D. Ala. 2013). The plaintiff, a student, alleged that his constitutional rights were violated as a result of receiving corporal punishment at school. The student filed suit against the school board, school board members, the superintendent, and other employees. The United States chief magistrate judge ruled in favor of the school board, school board members, the superintendent, and the other employees. Baugh v. Muscle Shoals Board of Education, 2013 WL 3458594 (N.D. Ala. 2013). The plaintiff alleged the school board and its superintendent discriminated against her on the basis of her race by electing not to renew her employment contract as a science teacher. The U.S. District Court granted summary judgment in favor of the school board and its superintendent. Raper v. Morgan County Board of Education, 2013 WL 988081 (N.D. Ala.2013). The plaintiff alleged that the school board, superintendent, and board members discriminated against him on the basis of age and gender when he was not promoted to the position of director of a program for exceptional students. The U.S. District Court granted summary judgment in favor of all defendants. Cobb v. Florence City Board of Education, 2013 WL 5295777 (N.D. Ala. 2013). The plaintiff alleged he was terminated and then not rehired because of his race and his alleged disability and in retaliation for taking FMLA leave. The U.S. District Court granted summary judgment in favor of the school board. Payne v. Oneonta City Board of Education, 2012 WL 7870201 (N.D. Ala. 2012) and 2013 WL 1490926 (N.D. Ala. 2013). The plaintiff alleged he was not hired because of his race, age, and gender. A United States magistrate judge recommended that summary judgment be granted in favor of the school board and a U.S. district judge adopted the recommendation and entered summary judgment in favor of the school board. “Alabama Supreme Court Contravenes United States Supreme Court Due Process Jurisprudence: Stallworth v. City of Evergreen,” Alabama Law Review (1998). A Practical Guide to Employee Terminations Under the Students First Act, Summer Meeting, Alabama Association of School Boards, Orange Beach, Alabama, June 17, 2018.